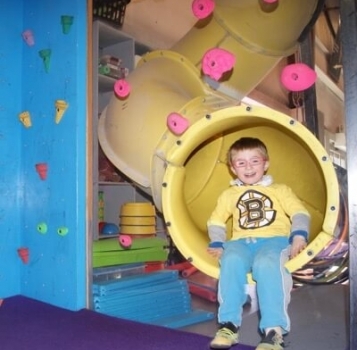 This hour and a half class introduces children to the fun, gravity-defying world of climbing. 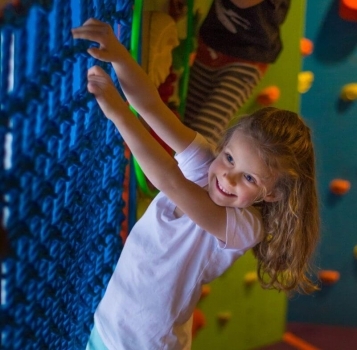 Your child will build confidence, balance, and strength while learning the basics of bouldering and top roping, through an array of games and activities. 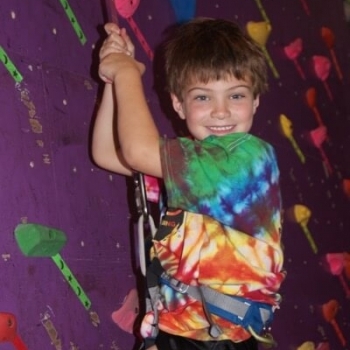 Our skilled, kid-friendly instructors will introduce climbing terms and problem solving. Basic knot tying and an understanding of how the equipment works will be developed during these sessions. Please note that classes with 2 children or less may be combined. 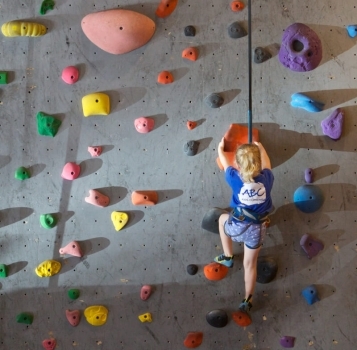 This hour and a half class is a continuation of Monkey Level 1, and allows young climbers to work toward mastery of basic climbing and safety skills, while continuing to have fun. Students will continue developing their footwork, dynamic movement, strength training, and mental focus. Additional practice and instruction will be provided in top roping technique. Please note that classes with 2 children or less may be combined. A one hour, early-afternoon version of each respective class, aimed at children who have an early school dismissal or are home schooled. Condensed classes have the benefit of a quieter gym and are also perfect for children who prefer a one hour class. Please note that classes with 2 children or less may be combined.